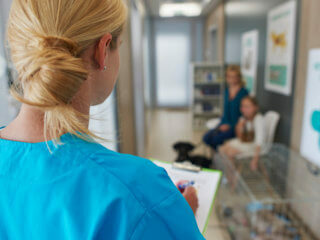 Lobby groups in German healthcare system - Why are they powerful? Home Policy Lobby groups in German healthcare system – Why are they powerful? Lobby groups in German healthcare system – Why are they powerful? The lobbying in Germany is dominantly carried out by ‘associations’ formed by parties interested in and committed to proper development, regulation and reformation of the healthcare system in Germany . The lobby groups in German healthcare system could be of different compositions such as physicians, industry, and consultants. 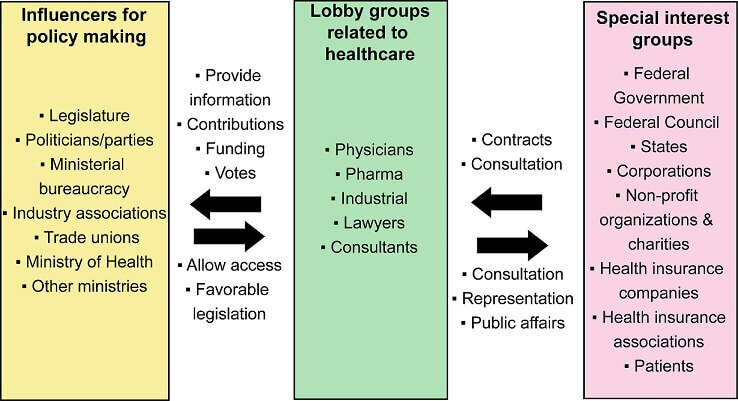 The healthcare lobbying groups interact with influencers of policy making (Eg. ministries, legislature, political parties, industry) and other interested groups (Insurance companies and associations, patients, Federal government and council, corporations, non-profit organizations). Figure 1. Relationships of German healthcare lobby groups with influencers of policymakers and special interest groups. Developed based on the ‘theory of a relationship market’ by McKinley and Groll (2015) . BAK is one of the registered lobby groups with the German Bundestag and a part of the Chambers of national doctors. 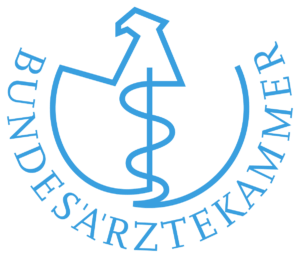 BAK is also a partner of the State chambers of physicians (Landesärztekammer). 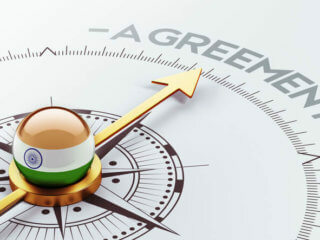 As lobbying activities, their major role is to observe and monitor health policies and social policies and evaluation of political influences, legislative proposals, and initiatives. BAK works in close collaboration with the Federal Government, Federal Council, political parties and different ministries in order to present their occupational and reforming interests. The ministries of health, education, business, judiciary and internal affairs are the major ministries that deal with BAK. Here, we use BAK’s organizational network as an example to show how a physician’s lobbying groups are organized and interacting with other parties. Figure 2. 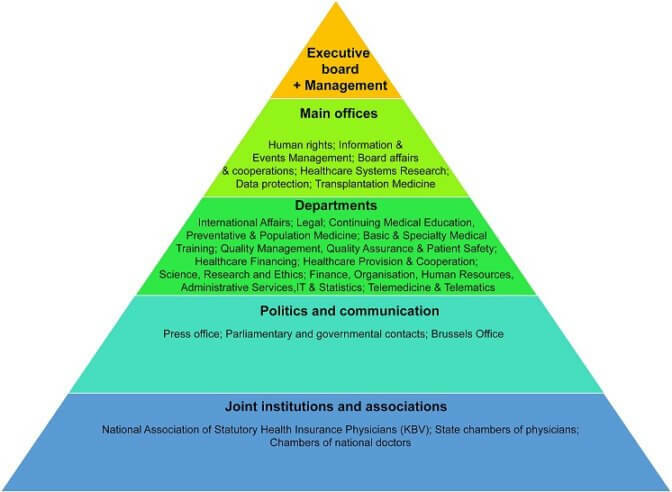 The organizational structure of the Federal Chamber of physicians (Bundesärztekammer, BÄK). BIO Deutschland is a German Biotech industrial lobby group that shows particular interest in healthcare. As the German representative of EuropaBio (European association), it also heavily interacts with health-related biotech companies in other countries including the USA. Their major lobbying activity is to lobbying the interests of the biotech sector internationally, especially regarding health policy and regulatory policy, innovation and technology transfer . As an industrial lobby group, the organizational structure is built upon a hierarchy from CEOs and managing directors of various biotechnological companies, regional members, technology transfer offices, consultants, auditors, lawyers, and investors. As of 2011, Bio Deutschland is a participating lobbying group of ‘Health Made’ an export initiative for the German Healthcare Industry. Philipp Rösler, the Federal Minister of Economics and Technology describing the role of lobbying groups such as Bio Deutschland in Health Made said “health care is one of our most important sectors and presents opportunities for the future. A great deal of potential is still untapped, particularly in the export sector. The objective of our Health Made in Germany export initiative is to exploit this potential, thus stabilising economic growth in Germany. 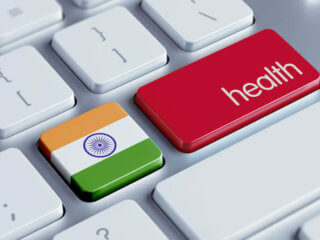 Greater cooperation is essential in the export of health services” . The political umbrella association within the AOK group is represented by the Federal Association of the AOk (AOK-BV). Their aim is to represent the interests of AOK with the major political influencers of healthcare decision makers that include the National Association of Statutory Health Insurance Funds and other health insurance fund contractors . As per EU transparency register, in the financial year of 2015, AOK has invested 100,000€ – 199,999€ for lobbying, which covered many interests of the association including public health . They were, in fact, a major player in reforming the statutory health insurance in Germany. Lack of transparency in their work, interactions and regulation give lobby groups more freedom and power. Many lobbying groups in Germany that have deficiencies in terms of self-regulation and thus proper organization. The self-regulation is meant to be achieved at least partly by mandatory lobby registering . The intention of registration is to create transparency. Deutsche Gesellschaft für Politikberatung e.V. 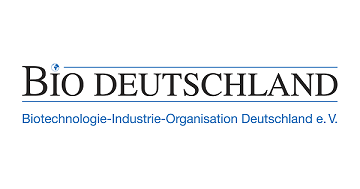 (degepol) are German associations of political consultations and have made a significant contribution in terms of establishing ground rules for mandatory lobby registration . 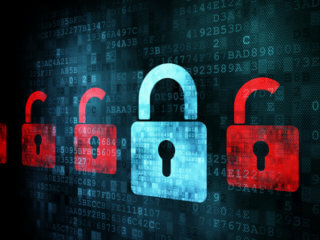 They also refer to them as ‘clean lobbying’ reinforcing the transparency obligations, the German Public Relations Society (DPRG) believes that mere registration and formation of a public directory is not sufficient to ensure self-regulation . While members of some lobbying groups such as parliamentarians may have their own code of ethics to maintain integrity, many of the lobbying groups or lobbyists are not bound by punishable or accountable codes of ethics or codes of conduct . Such situations allow lobbying groups or lobbyists to accept bribes and non-sanctioned communications that give them more power. Luckily, many associations have recently begun following guidelines for ‘integrity, compliance and ethical conduct’ in accordance with the European Parliament’s transparency register, obliging them to abide by basic codes of conduct . 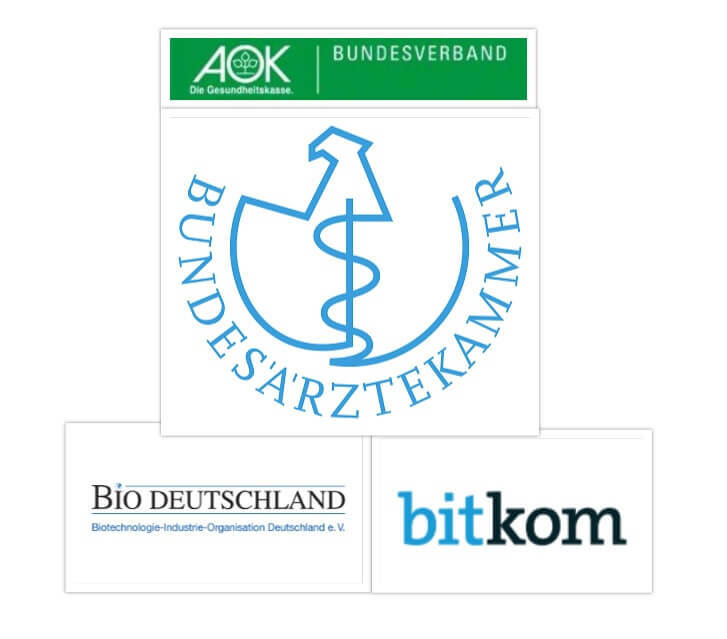 Bio Deutschland is one of the largest biotech lobbying groups in Germany. They are involved in extensive applications of Bio-IT and Big Data in the transformation of digital healthcare in Germany. According to Dr. Martin Pöhlchen, the head of digital technology sector at BIO Deutschland, they intend to invest €400m to support the transformation of digital healthcare . As evident by the Figure 2 displaying the organization of BAK physician’s lobby group, there are at least two departments that are dedicated to digital health, specifically telemedicine and telematics. 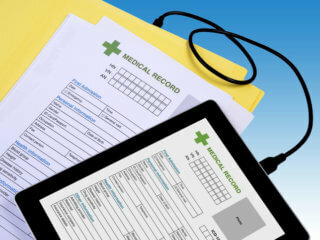 Both telemedicine and telematics are digital health technologies that support long-distance and coordinated care. 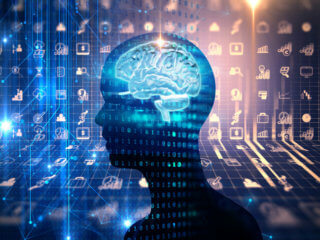 BAK act as an association which monitors, supports and enhances the use IT-associated digital tools in healthcare while mediating discussions regarding international eHealth developments . Information Technology, Telecommunications, and New Media or the Federal Association for Information Technology. They are an association who have contributed insights into e-Health in Germany through identification of critical issues associated with digital health. 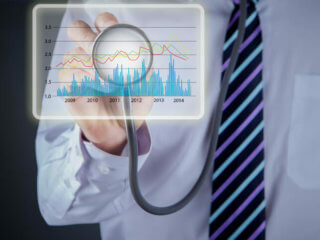 According to an article published by Bitcom in 2009, a weakness of German e-Health is the high cost associated with implementation and maintenance (1.7 billion euros and 150 million euros. respectively) . What influence do they have in relation to legislation? The associations discussed here as lobby groups also influence the legislation or statutory laws. The German political system is a two-component system, i.e., a bicameral system: Bundestag (Parliament) and Bundesrat (Federal Council). Lobby groups in Germany contribute to the political decision-making process at Bundesrat/Federal Council level through the States . For instance, BAK is a major player in the decision-making process that occurs during legislature procedures . These groups enforce maintenance of ‘legislation footprint’ when government documents are prepared, during which draft bills are properly documented disclosing the proposed acts or interests by contributors such as ministries. During the decision-making process, the influences of the interests of different parties on draft bills are discussed in detail with the involvement of lobbying groups . As in any country, political parties and politicians in Germany are dependent on voting. Therefore, lobby groups with financial and political power can have a significant influence on elections and who vote. While self-regulating German healthcare system attempts to be free of unwanted political influences during healthcare decision-making process, lobby groups may exert pressure on this process through political involvement to re-enforce their own interests . 1. Speth R (2014) LOBBYING IN GERMANY. Transparency International Deutschland e.V. 4. www.biodeutschland.org (2011) BIO Deutschland participates in Health Made in Germany, an export initiative by the Federal Ministry of Economics and Technology. Bio Deutschland. 12. Zwicker M, Seitz J, Wickramasinghe N (2014) Identifying critical issues for developing successful e-health solutions. 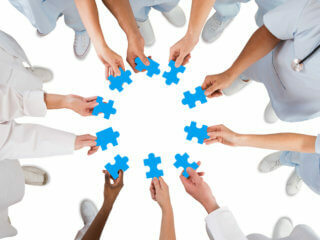 Lean thinking for healthcare: Springer. pp. 207-224. 14. Lueckmann SL, Behmann M, Bisson S, Schneider N (2009) “Good idea but not feasible”l – the views of decision makers and stakeholders towards strategies for better palliative care in Germany: a representative survey. BMC Palliative Care 8: 10.